Fancy some tea? Join us with your child for a fun afternoon of tea, cookies, refreshments, crafts & more! Oo-la-la we hope you can make it! 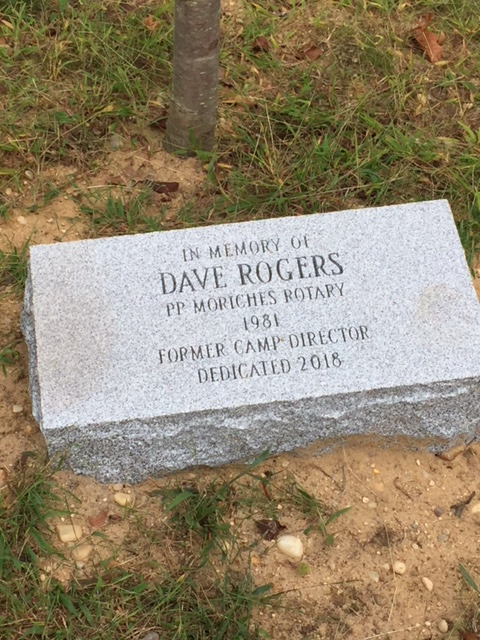 Sunday, March 3rd from 2pm-4pm at Camp Pa-Qua-Tuck in Center Moriches. 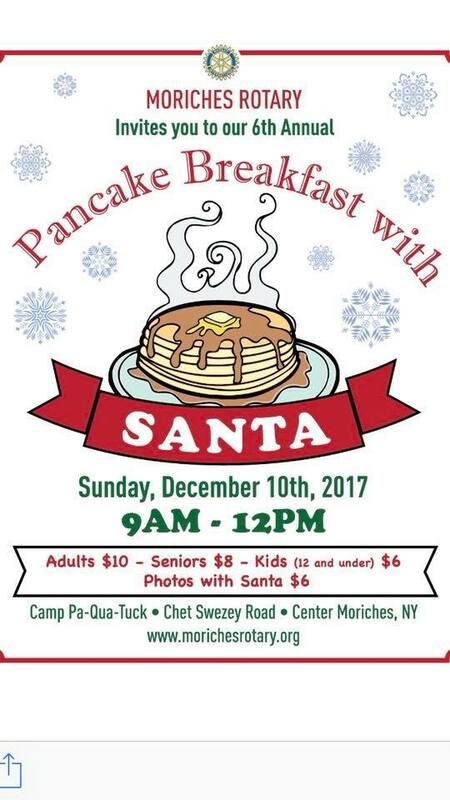 All Proceeds benefit the Moriches Rotary Club. Shawn Weiss, our District Governor's visit. Such a inspiration. Peace and love. 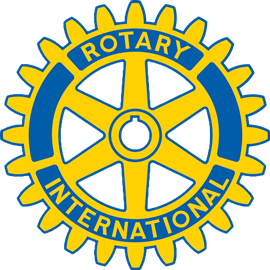 Rotary is a wonderful organization. 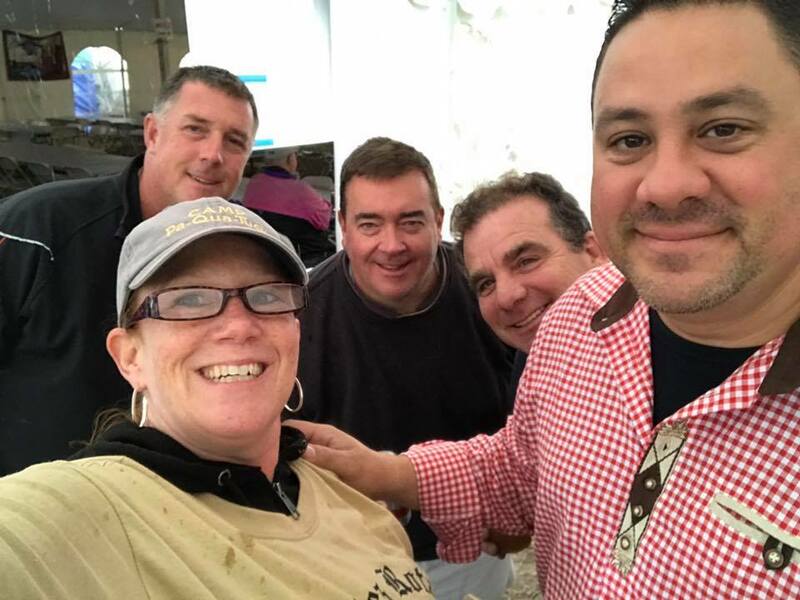 On Wednesday, December 12th from 6pm to 9pm we will be at Buckley's in Center Moriches. Join us for an incredible night of joining together as community to experience the true magic of Christmas. Everyone is welcome! Great experience for children! We will meet for some last minute fundraising (Chinese auction, raffles, 50/50) during a buffet dinner before we head out by bus to sing some Christmas Carols with Santa. 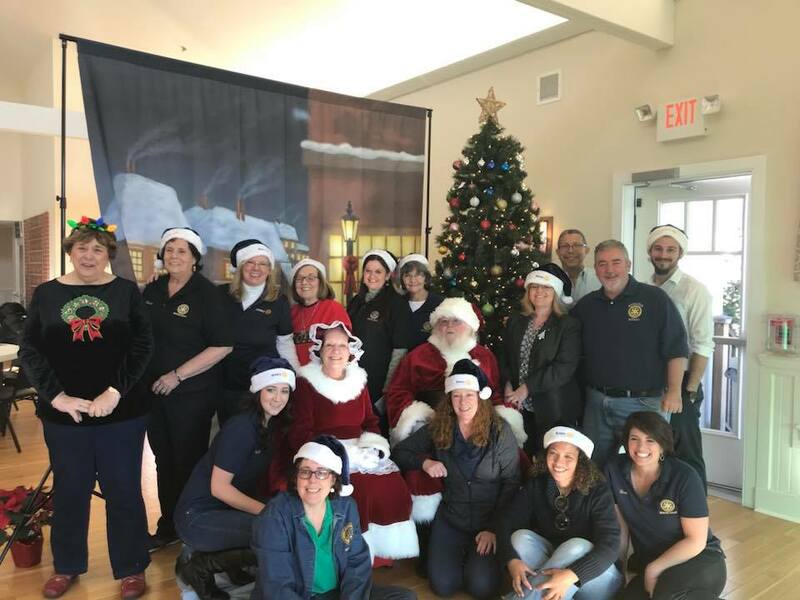 Santa will deliver some special gifts to two very deserving local families. 2) Use the PayPal.me link below which is a faster, easier way to use PayPal. Note: Make your tax deductible donation one day after “giving Tuesday”. 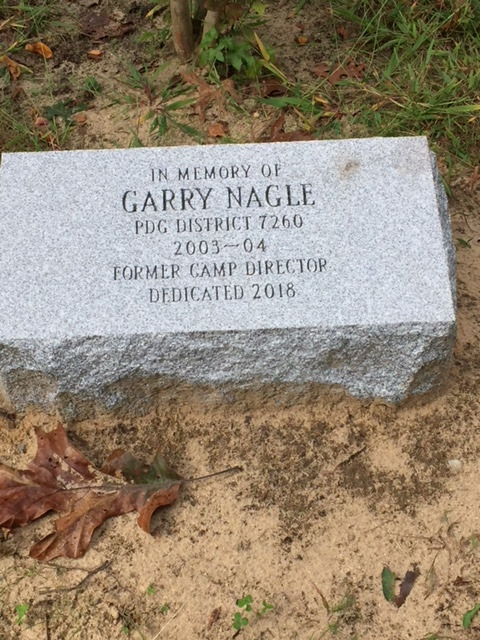 For their dedication to the community and kids of Camp Paquatuck. We welcome our incoming exchange students: Isadora from Brazil and Catalina from Chile. 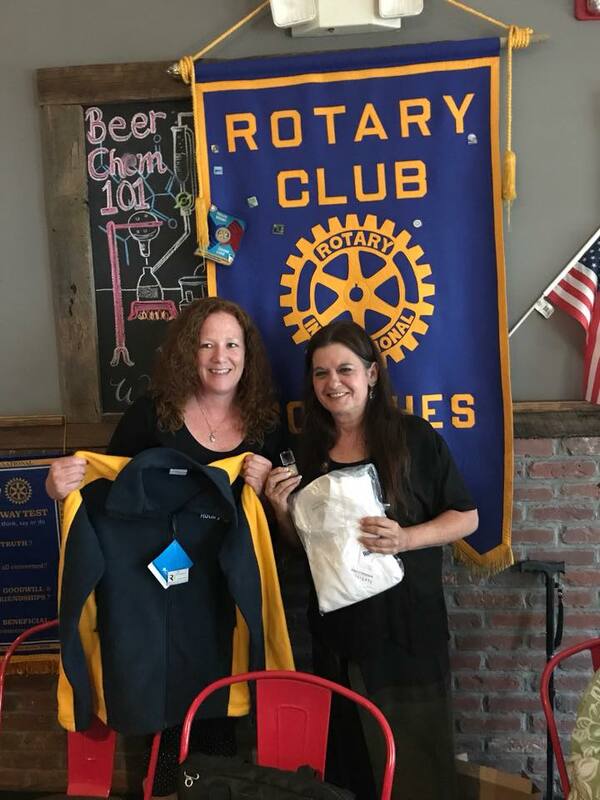 We welcome Wayne Vitale as a new club member. 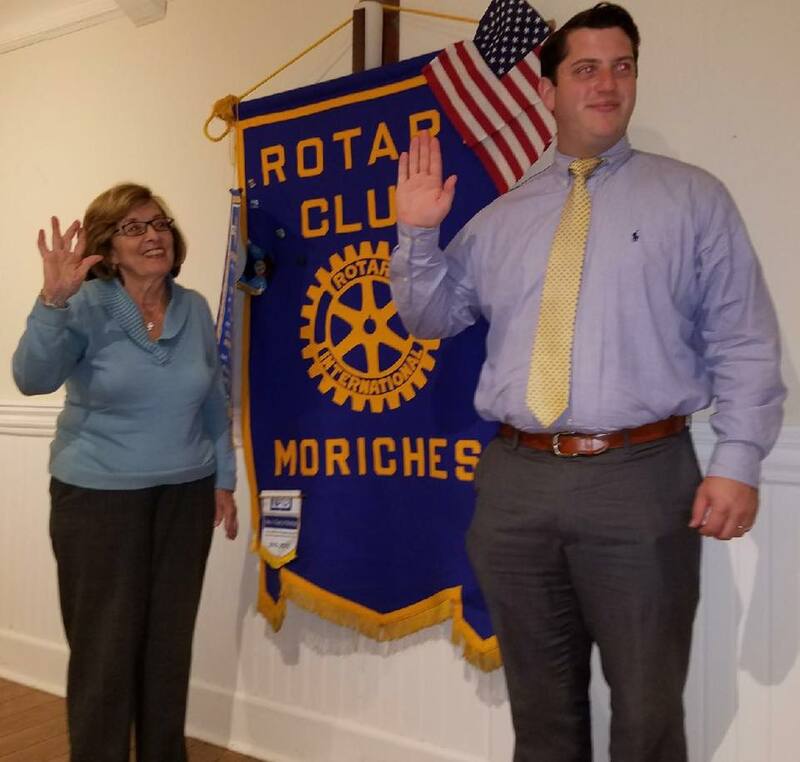 Richard Mailand honored as "Merchant of the Month"
Installation of our incoming President for the 2018-2019 year. Another great year for our club. We say good-bye to Janice Graf as club president and we thank her for her year in service. Ribbon Cutting Ceremony for the new playground at Camp Pa-Qua-Tuck. Ribbon Cutting Ceremony for the new playground at Camp Pa-Qua-Tuck. 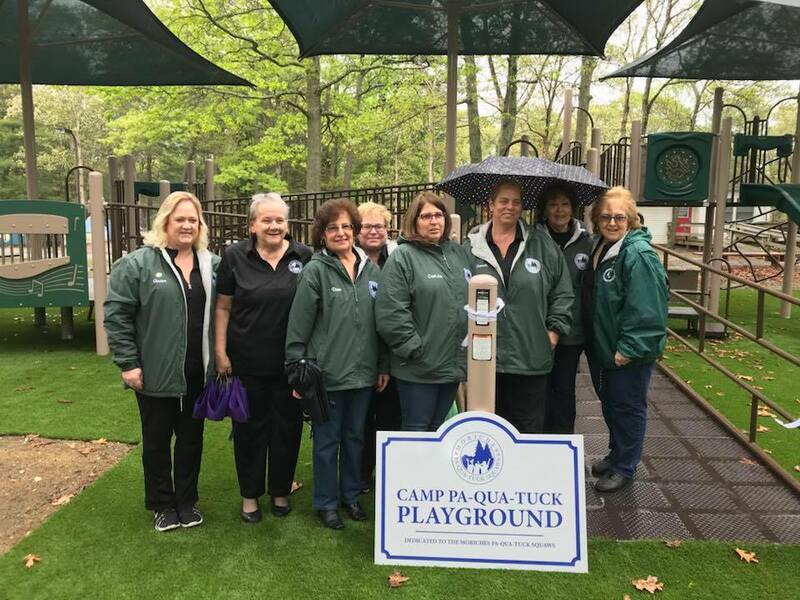 The playground was dedicated to the Moriches Pa-Qua-Tuck Squaws for their dedication and hard work. All that is left is putting up the finishing touches on the new playground for special needs children that was completed at Camp Pa-Qua-Tuck. Pastor Sharon with the East Moriches Middle School Interact and Moriches Community Interact after they delivered groceries to the food pantry. Food was received from generous community donations during today's stuff-a-bus. 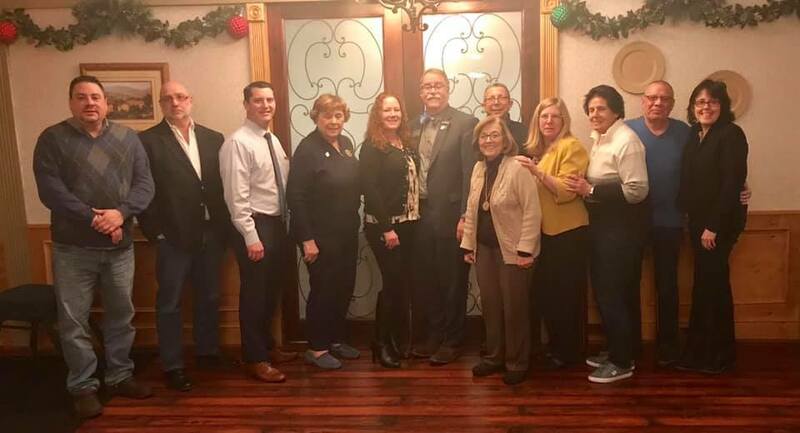 The Moriches Rotarians and Squaws gathered at Camp Pa-Qua-Tuck to celebrate the ground-breaking for a new playground for special needs children. 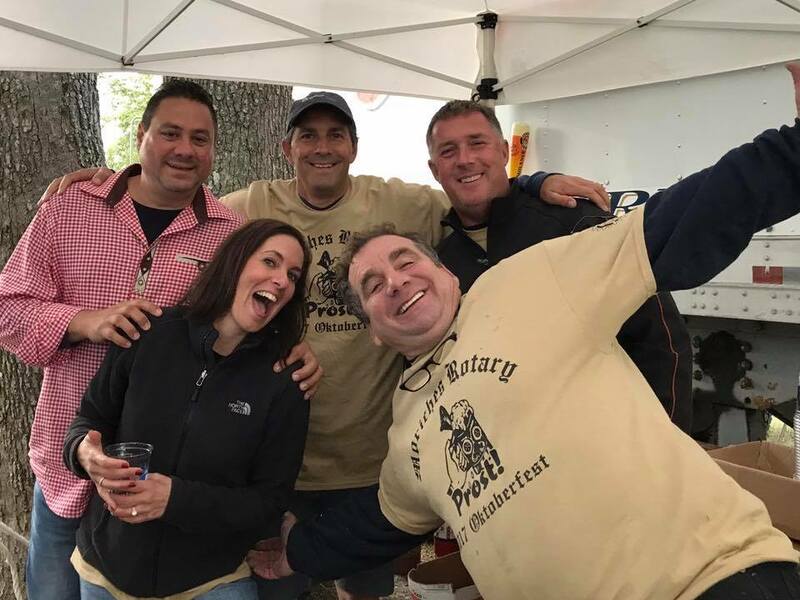 The Moriches Rotary & Ronkonkoma Clubs are hosting a Beatles Tribute Fundraiser "All You Need Is Love" at Camp Pa-Qua-Tuck on Friday, April 27th from 7pm to 11pm. Tickets are $75 each and includes buffet dinner, beer, and wine. There will be Raffles and Door Prize. 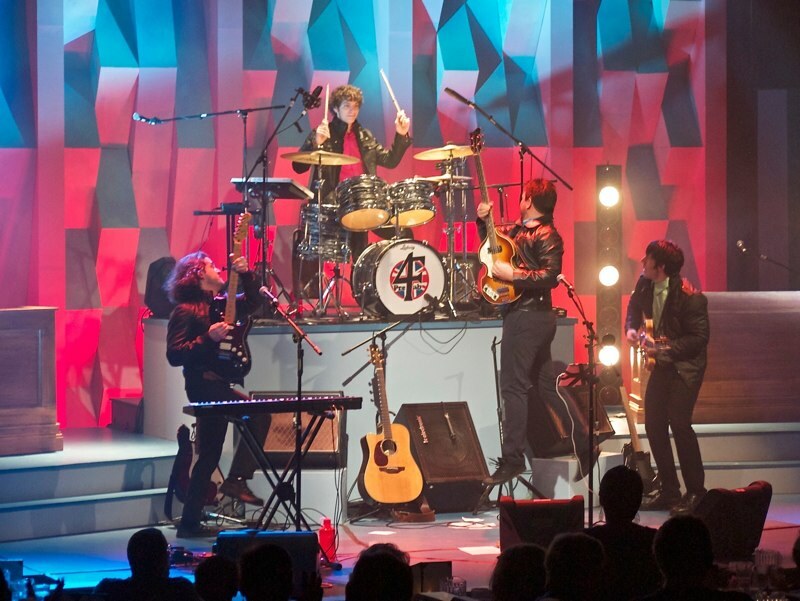 The band is: "PreFab 4" the world’s most exciting, innovative and fun Beatles tribute band. Hailing from New York, they tour nationally offering their unique Beatles tribute to thousands at sold-out venues across the United States. From our family to yours. We wish you a Happy Holiday season. 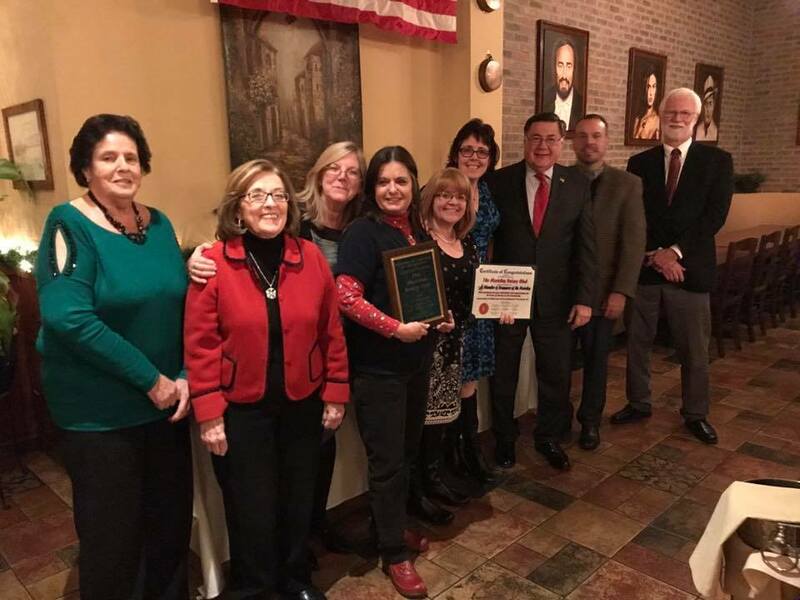 We want to thank the Moriches Chamber of Commerce for acknowledging the Moriches Rotary for 80 years of service in the community. It was an honor, and our pleasure, to receive to this award. Thank you to all who attended and supported our event. We appreciate you very much. 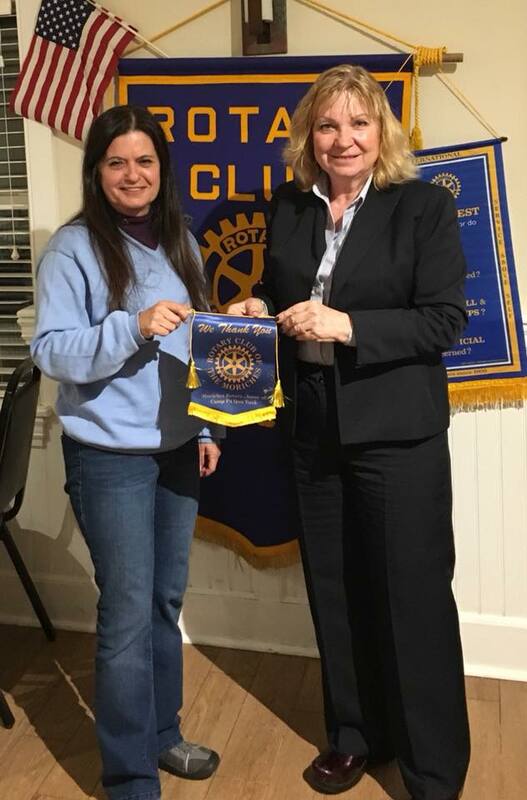 Thanks to PDG Marion Stark for coming to our club to teach us about Rotary Foundation filled with your heartwarming stories. 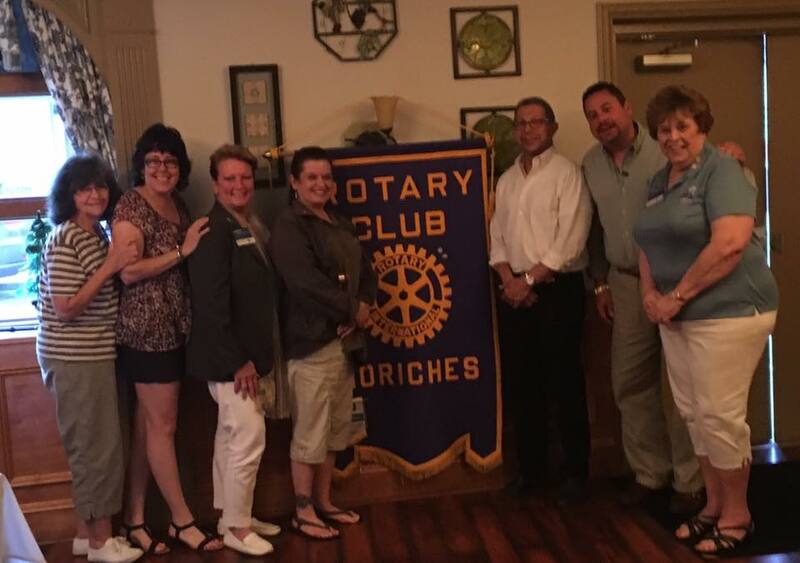 We welcome our newest Rotarians Gerry Sapanaro and Matthew Crennan. 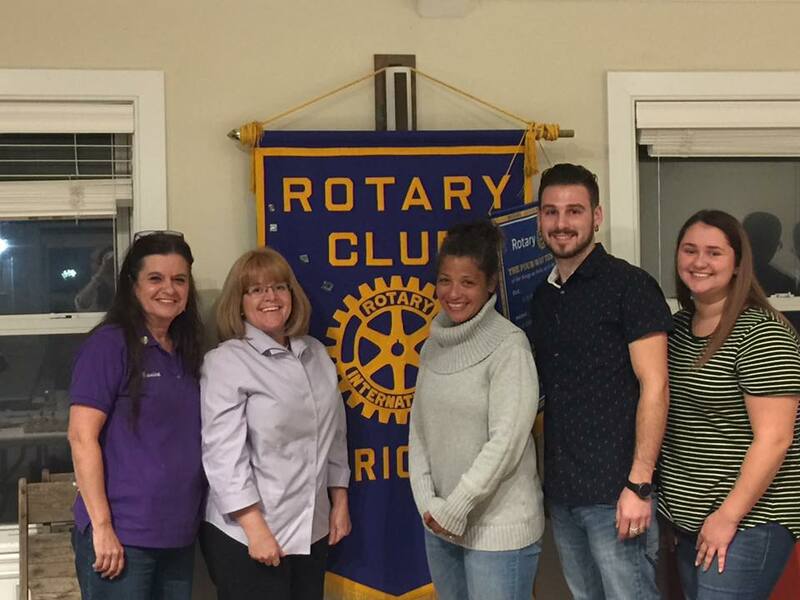 Congratulations to our newest Rotarians! Happy 80th Birthday to Barbara Caldwell, a long time Rotarian, and great friend. 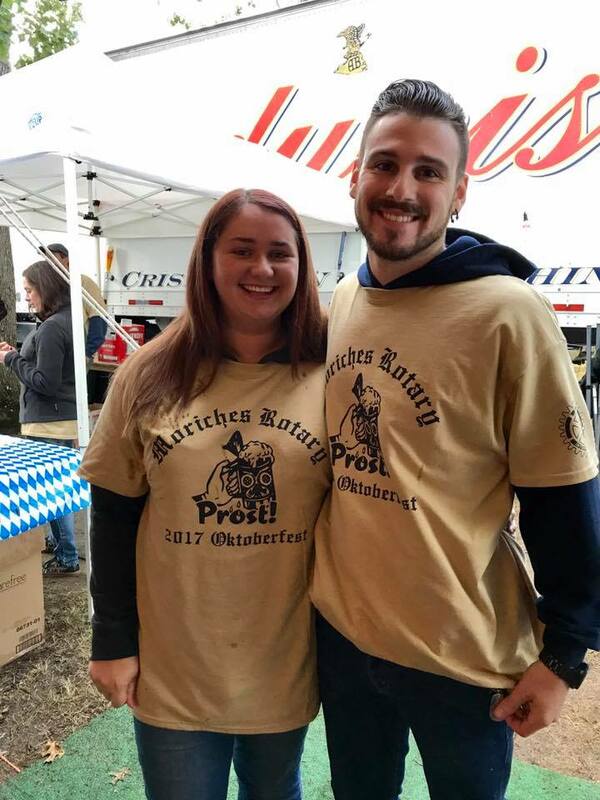 Thank you to all in the community that came out to support our annual Oktoberfest event. Our events and community are strong because of you. THANK YOU TO ALL THOSE WHO PARTICIPATED. 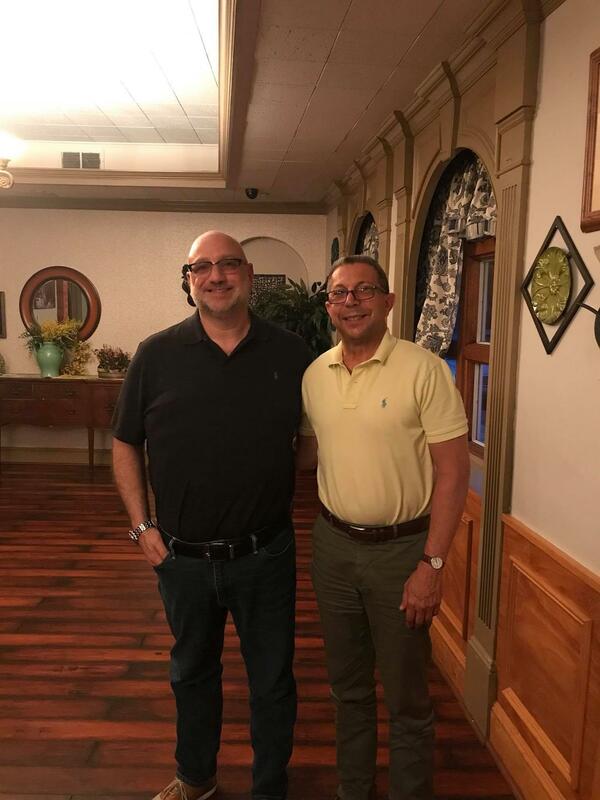 Congratulations to TR our August 31st winner, who won 50% of dinner at La Volpe Ristorante. Congratulations to Joanne W. our August 30th winner, who won a $25.00 Gift Card to Moriches Bay Diner. Congratulations to Bill G. Our August 29th winner, who won a $25.00 Gift Certificate to Triangle Pub. Congratulations to Sandra G. Our August 28th winner, who won a Career Coaching Certificate valued at $199.00. Congratulations to Andrew D. our August 27th winner, who won a $25.00 Gift Certificate to Brothers Four. Congratulations to Kevin S. Our August 26th winner, who won a $25.00 Gift Certificate to East Moriches Hardware. 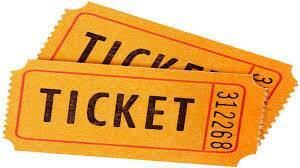 Congratulations to Marilyn C. Our August 25th winner, who won a $25.00 Gift Certificate to Country Heroes. Congratulations to Denise M. Our August 24th winner, who won a $32.50 Gift Certificate to Crust Around the Corner. Congratulations to Ro our August 23rd winner, who won a $25.00 Gift Card to Carlo's Pizzeria in Manorville. Congratulations to Cathy S. Our August 22nd winner, who won a $25.00 Gift Card to Macy's. Congratulations to Frank W. our August 21st winner , who won a $25.00 Gift Card to Tuscany Gourmet Market in Middle Island. Congratulations to Newt H. Our August 20th winner, who won a screwdriver and bit set fro Druek's True Value. Congratulations to Nick E. our August 19th winner, who won 10 Large Hot Coffee's at Dunkin' Donuts. Congratulations to Debbie M. Our August 18th winner, who won a $25.00 Gift Card to Birch & Main. Congratulations to Bob E., our August 17th winner, who won an in-ground pool closing from Saltaire East Pool Service in East Moriches. Congratulations to Muriel C. Our August 16th winner, who won a freshly baked loaf of bread every month for a year from Panera. Congratulations to Maria M. our August 15th winner, who won a $25.00 Gift Card to Ocean Spa in East Moriches. Congratulations to Danielle D. our August 14th winner, who won a $25.00 Gift Card to 7-Eleven. Congratulations to Miriam G. our August 13th winner, who won a $25.00 Gift Certificate to Bailstone Flower Shoppe. Congratulations to Debbie M. our August 12th winner, who won 1 dozen bagels, 1/2 pound butter, 1/2 pound cream cheese and a muffin platter from Bagel Deli. Congratulations to Frank B. our August 10th winner, who won a $25.00 Gift Certificate to Bella Jeans East Hair Salon in Eastport. Congratulations to Muriel C. Our August 9th winner, who won 2 weeks of introductory fundamentals classes at CrossFit Kryptonite Gym. 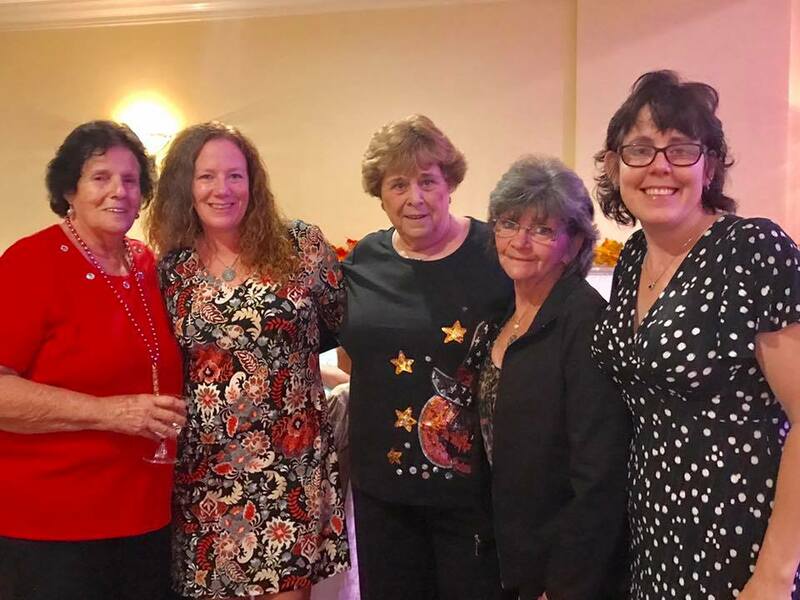 Congratulations to Joyce D. our August 8th winner, who won a $25.00 Gift Certificate to Priscila Nail Salon in Center Moriches. Congratulations to Kelsey G. our August 7th winner, who won a $25.00 Gift Certificate to Crust Around the Corner. Congratulations to Denise T. Our August 6th winner, who won a $25.00 Gift Card to Bay Gardens. Congratulations to George S. our August 5th winner, who won a freshly baked loaf of bread every month for an entire year from Panera. Congratulations to T.R. 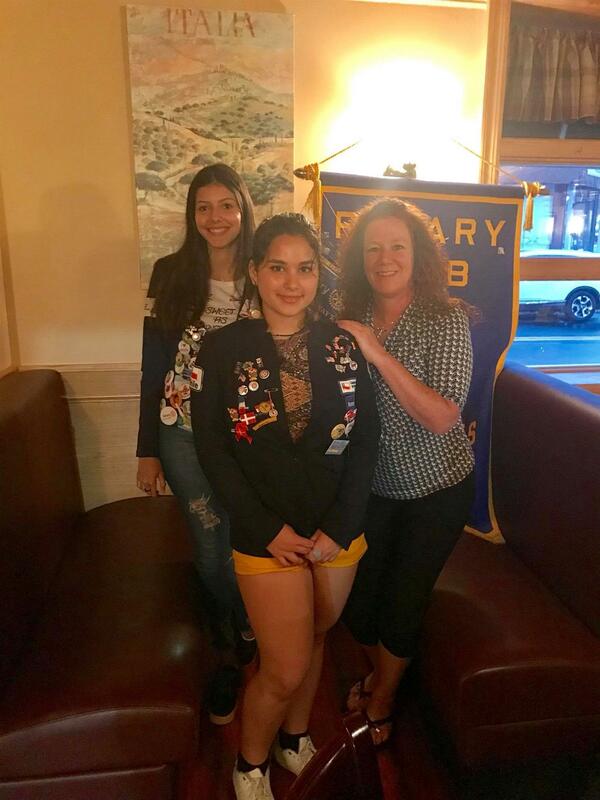 Our August 4th winner, who won a $25.00 Gift Card to Moriches Bay Diner. Congratulations to Rose Q. Winner, our August 3rd winner, who won a $25.00 Gift Certificate to Coral Restaurant. 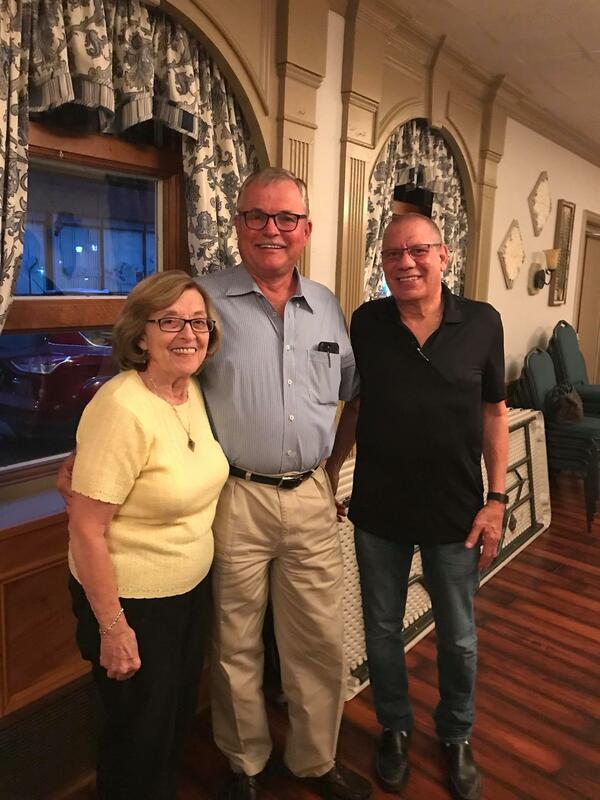 Congratulations to Jeanne P. our August 2nd winner, who won a $25.00 Gift Certificate to Moriches Bay Deli. Congratulations to our August 1st winner, Joanne W. who won a $25.00 Gift Certificate to Beach Bakery in Westhampton. 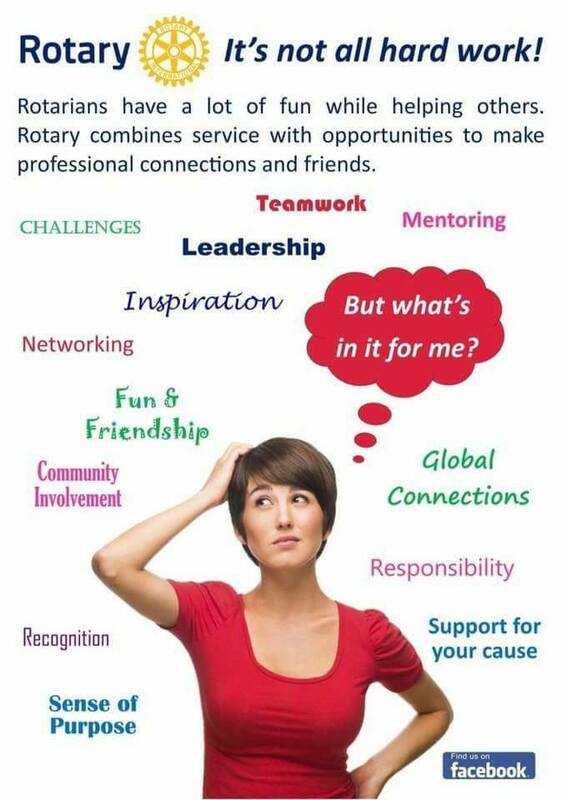 What is it like being a Rotarian? Come to a meeting to find out more. 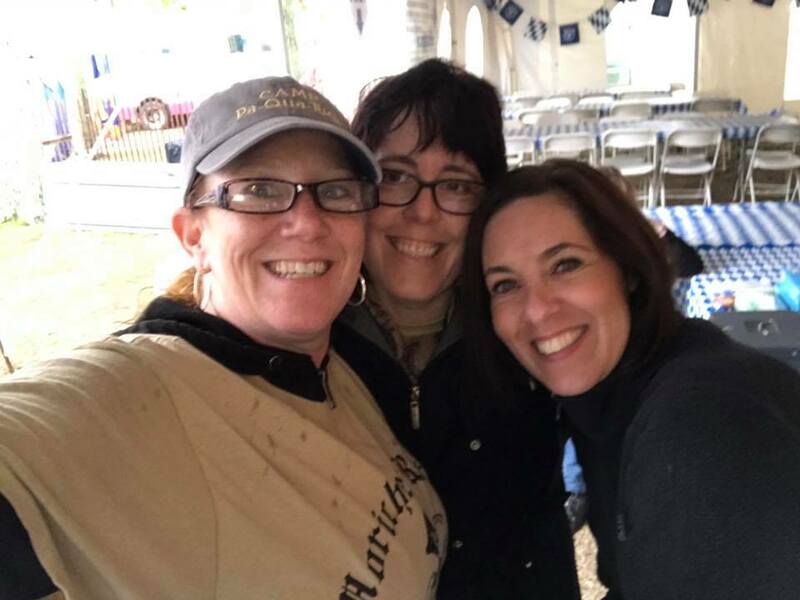 You will get to be with great people who are making a difference in our community and in the world.